A recent spate of vandalism on church buildings in Jerusalem should “challenge the simplistic ideas of certain Christian supporters of Israel who imagine that Christians and Jews are natural allies against a dangerous Arab enemy,” according to Gabriel Said Reynolds, professor of Islamic studies and theology at the University of Notre Dame. Earlier this week, vandals spray-painted “Death to Arabs and Christians” in Hebrew on the Vatican’s Notre Dame Centre in Jerusalem’s Old City. On Thursday night (May 8), similar graffiti was written on a wall close to a Romanian Orthodox church. Pope Francis is due to stay at the Notre Dame Centre during his two-day trip to Jerusalem and Bethlehem later this month. The Notre Dame Centre is not affiliated with the University. 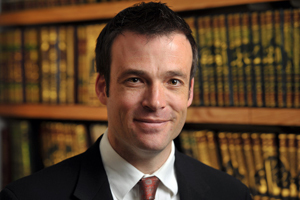 A leader of an international effort to form an independent association of Qu’ranic scholars, Reynolds is at work on a book on The Qurʾan and the Bible: A Guide to the Qurʾan’s Relationship with Biblical Tradition. Originally published by Michael O. Garvey at news.nd.edu on May 09, 2014.